Give your child a birthday they will never forget and let them be the talk of the party. Having one of our classic tonibell birthday ice cream vans or a vintage tonibell ice cream van attend your birthday adds a real buzz to the celebration, no matter what age you are! Just imagine us arriving with our chimes playing and watching your guests faces light up when they see us in our shiny bright pink livery. Let them delight as they choose an item from over 97 different varieties, big or small, with one Cadbury flake or two, it’s all included and we can cater for any size party. 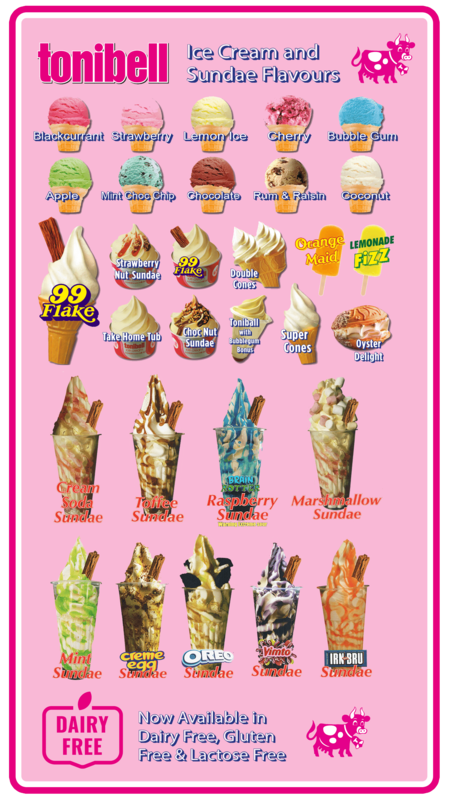 Just a small sample of our mouth watering famous soft ice creams include; twin choc, boats, retro oysters, tubs with 24 flavour sauces and our topping station, our many flavours of knickerbocker glories from Nutella, Vimto, Red bull, Dr Pepper, Orange, Banana, Iron Bru, Crème Egg, Oreo and so on. 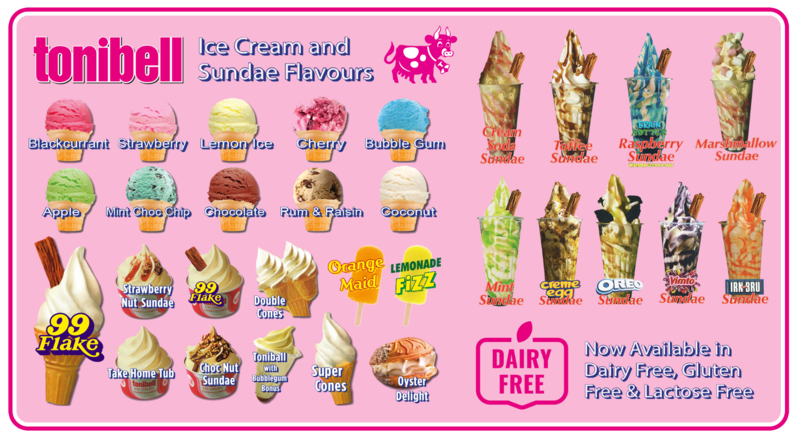 Try our sorbets of Lemon, Chocolate, Bubblegum, Orange, Cherry or delight in our retro Mint Choc Chip and Rum & Raisin, all from our standard menu with no hidden costs. Our fixed price menu has NO hidden extras! The birthday guest can choose to come into our ice cream vans to make there special ice cream and serve their friends. 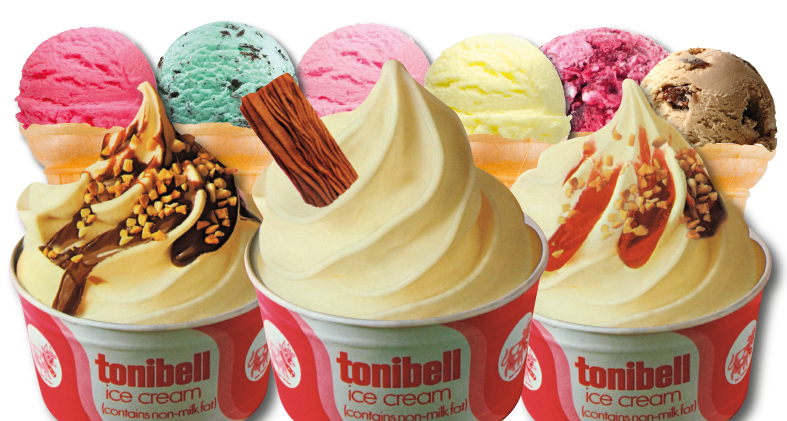 They will have so much fun to choose from in making a perfect birthday ice cream from our tonibell soft ice cream machine with all the trimmings and flakes along with over 40 sauces. What a great surprise for your husband or wife having one of our ice cream vans attend your birthday, whether in the garden or in the village hall, fancy dress bbq or hog roast, our ice cream vans are so iconic, retro and totally original. We are a part of British history with a name that goes back over five decades. You can even personalise your ice cream birthday menu with a picture or have your name displayed for your party guests to see, these are presented to you after the celebration to keep and will make a perfect gift no matter what age. Having a pool party or outside theme?, we can also cater and offer our delicious Slush Puppies with Strawberry, Blue Raspberry, Bubblegum or Vimto flavours . We can also supply Hot Dogs with only the very best taste and size at an additional cost. We encourage photographs so come and have your picture taken making an ice-cream or serving your guests in one of our vans. A tonibell ice cream van selfie is something to shout about! How do I book for a birthday? ‍Remember our fixed price menu has no hidden extras.What you are quoted is what you pay, this is guaranteed. 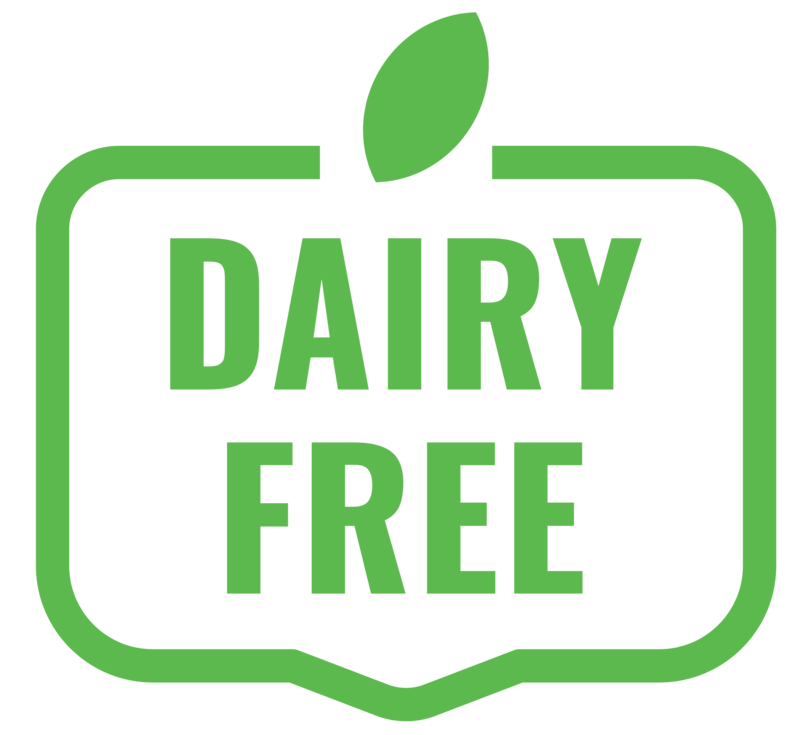 Do not confuse us with other companies, having a classic ice cream van or one of our modern fleet will excite any party and most importantly, everyone will love our ice cream.